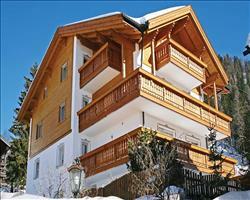 There is 1 holiday to Val Gardena for 2 adults, 0 child and 0 infant. Chalets are more common in French and Austrian ski resorts, so coming across one in Italy can be a bit of a luxury but still wonderfully affordable. Chalets totally embody all things traditional for the lover of alpine charm, making a comfortable and temporary home over the length of your stay. In Selva, Chalet Soldanella and Chalet Salvan are helpfully near the slopes to reduce the morning slog. There’s a bit of a hill to get to Salvan but it sleeps 14 so depending on the size of your party it can make for a more intimate week. Soldanella knows how to do numbers with 26 beds to fill. We only have chalets in Selva at the moment but if you look at our resort page it’ll soon be tugging on your heart strings. As a resort, Selva’s got lots to offer including leisure activities and après ski. It’s also the closest village to the routes leading around the Sella Ronda; a famously long and circular ski route that’s a must-ski with the Dolomiti Superski pass. Otherwise have a look at our hotels in Ortisei and St Cristina if you want to consider a different type of accommodation in a different resort.